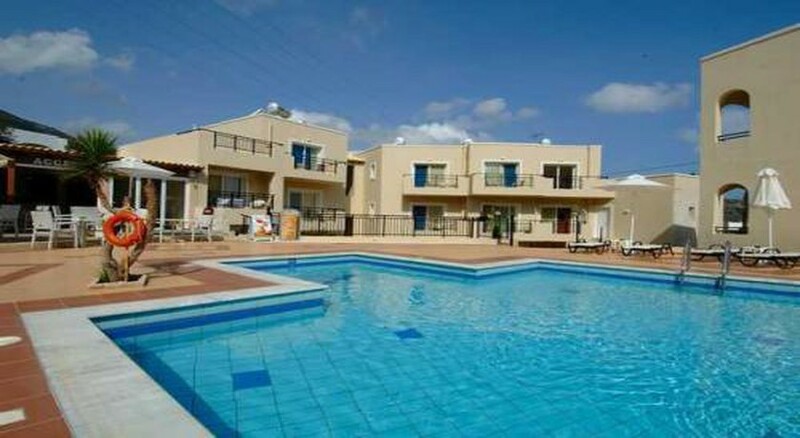 The Rainbow Apartments Stalis is a family owned hotel offering comfortable accommodation only a few hundred metres from the beach. The hotel is surrounded by gardens, vineyards, orange and lemon trees. The facilities and services offered by the hotel include: reception, currency exchange, safe, wireless internet in public areas (extra charge), bar, pool area with outdoor pool with children´s section, terrace, garden, BBQ facilities, children´s playground, billiards, pool table and free parking. Guests of the hotel can enjoy relaxing swims in the outdoor swimming pool. There’s a separate children’s section in the pool. The onsite sun terrace is perfect to lounge and enjoy a refreshing drink while appreciating the views. 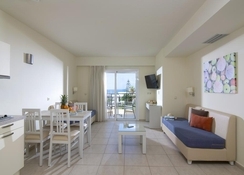 The Rainbow Apartments Stalis is 200m from a fine sandy beach. The lovely town of Stalida/Stalis is only a kilometre from the hotel. There are several taverns, bars and clubs close to the hotel. 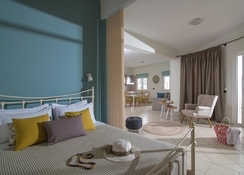 The area offers various archaeological sites and cosmopolitan summer resorts, such as Hersonissos and Malia, amongst which this property is situated. The Heraklion Airport is about 30km from the hotel. The guestrooms at Rainbow Apartments Stalis are categorised as superior double studio, superior triple studio, superior one-bedroom apartment, standard one-bedroom apartment, economy studio, luxury suite with sea view, studio apartment with sea view and deluxe apartment. 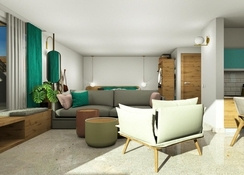 While the standard studios and superior studios accommodate two and three adults respectively, the standard apartments and superior apartment accommodate 3-4 adults. All the guestrooms come equipped with functional kitchenette with stovetops, refrigerators, crockery and kettle. Amenities in the studios include Wi-Fi, a flat screen 22inch LCD television with satellite, coffee & tea making facilities, microwave, en suite bathrooms, king size bed or twin beds and balconies with outdoor furniture. 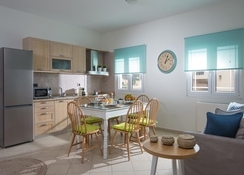 Guests at the Rainbow Apartments Stalis have their own kitchenette to prepare their meals. There are several restaurants, bars, pubs and other eateries that serve traditional local cuisine as well as continental and international cuisine within close proximity to the hotel. There’s also a supermarket from where guests can get ingredients for their meals. The onsite snack bar offers light bites and serves breakfast, delicious cocktails and beers. The Rainbow Apartments feature an inviting pool that has a separate children’s section. The swimming pool is surrounded by plenty sun loungers and parasols – perfect for lounging and sun bathing. The snack bar offers light bites that take care of your hunger pangs between meals. It also serves delicious cocktails, mocktails, beers and a selection of spirits.